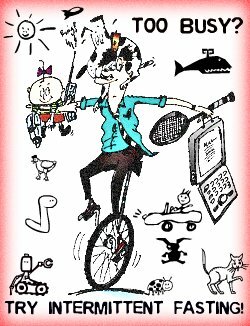 No matter what your schedule, time or mental/physical disposition may be - or if you are juggling many things at once, IF is a good option. 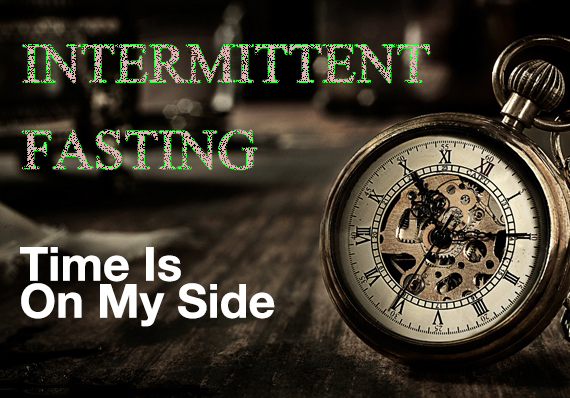 This page on alternative and intermittent fasting includes an excerpt from my book The Intermittent Fasting Weight Loss Formula, in which I discuss all of this material in greater detail.. This book is Volume 2 of the series, "How To Lose Weight Fast , Keep it Off & Renew The Mind, Body & Spirit Through Fasting, Smart Eating & Practical Spirituality." Intermittent fasting has become an increasingly-popular way to lose weight quickly without having to commit to long-term diets. But most people who practice intermittent fasting are merely scratching the surface. In the book, I present the powerful five-prong IF system that helped me to overcome obesity, lose 100 pounds and, more importantly, keep it off for more than 10 years. This book will give you a detailed, step-by-step method you can use to lose weight quickly with intermittent fasting. And here's the good news: The weight loss numbers provided by IF are very doable. Whether you only need to lose a few pounds, or if you are an athlete seeking for ways to reduce body-fat, or if you are overweight or even seriously obese, the IF machine can help you take a quantum leap towards the TOTAL attainment of your goals. I'm not talking about losing 'some' of the weight. With IF, you can lose ALL of the weight in a very short period of time. For instance, by cutting out some foods from your diet and then practicing periods of fasting of just a few hours per week (for starters), it is possible to lose weight very quickly. How much? A 4-hour fast, 3 times per week can actually produce weight loss of 7-to-10 pounds per month (or more, depending on your body makeup and what you eat). How would it help you to lose ten quick pounds in a month? I'm sure it would help you a lot, not to mention that you will feel empowered and encouraged to keep going because you will see results quickly and consistently. And this is just the beginning. Life is too short... there is way too much to experience and enjoy. If you have arrived at this page looking for ways to shed excess weight and improve your health, then THIS IS IT! I want you to STOP procrastinating and "thinking about it". Rather, I hope that you START taking action. 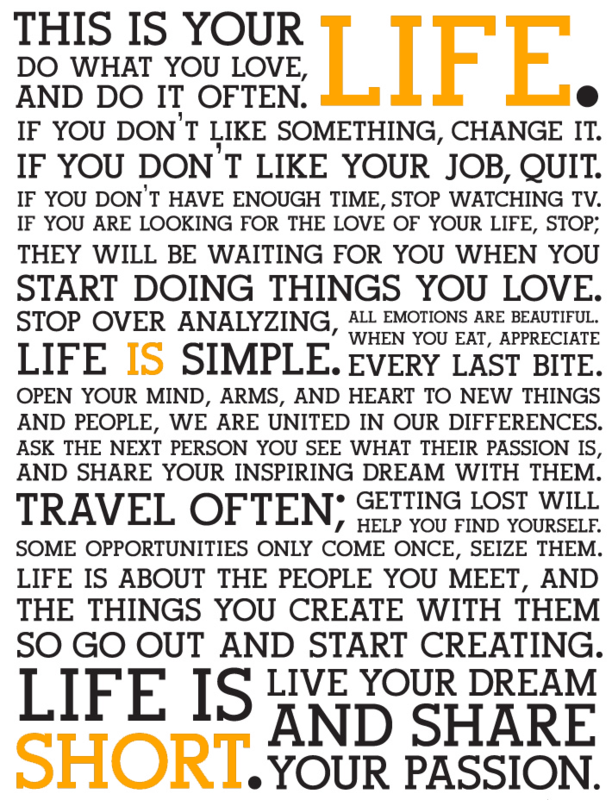 Let the rest of your life begin right here and now! 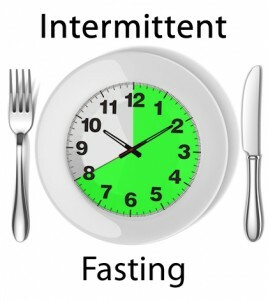 What you have here with intermittent fasting is an "adjustable discipline" that can help you drop the pounds and detoxify so that you can life a life of utmost health. I'll do everything within my power to motivate you and give you information that can help you reach your weight loss goals. But you have to become willing to do what it takes to produce the results, right? One of the most common rebuttals I get from people when I talk to them about fasting is: " Oh, I just don't have the time! Besides, I would be too weak... I wouldn't be able to function!" While indeed a fast longer than eight hours CAN produce weakness, doing it for shorter periods of time does not and CAN be fit into virtually any schedule and/or lifestyle. The weight loss and detoxification with IF may not be as quick and dramatic as one would experience during a prolonged water fast or juice fast, but they come if you are persistent. Let's dive right in and see what intermittent fasting is all about and how you can get started right away. With intermittent fasting, you can fast for small windows of time. This 'stop and go' structure of weight loss can be repeated daily, every other day, weekly or monthly, depending on your goals. Dictionary.com says: in·ter·mit·tent [in-ter-mit-nt] (adjective) means: Stopping or ceasing for a time; alternately ceasing and beginning again. Example: an intermittent pain. Alternately functioning and not functioning or alternately functioning properly and improperly. (of streams, lakes, or springs) recurrent; showing water only part of the time. These definitions have one thing in common: they refer to an act that is PARTIAL and happens only SOME OF THE TIME. That is precisely what (IF) is all about. You fast for a little bit of time; you return to eating for a little bit of time. It is a 'stop and go' structure of weight loss. This ON and OFF process can be repeated daily, weekly and/or monthly. Better yet, IF is NO LESS effective than an extended uninterrupted fast, AS LONG as you keep a clean diet when you eat. To be sure, the weight loss won't be as quick and dramatic as it would be during a total juice or water fast. But you WILL lose weight, and it will be much faster than with a traditional diet. (IF) is also an excellent way to cleanse the digestive system over a period of months. So if you have been looking for an effective (and proven) way to lose weight fast and improve your health, then IF can definitely help you to get there. Intermittent fasting is just like that oldie but goodie song by the Rolling Stones where Mick Jagger sings - "Tiiiiime is on my side." 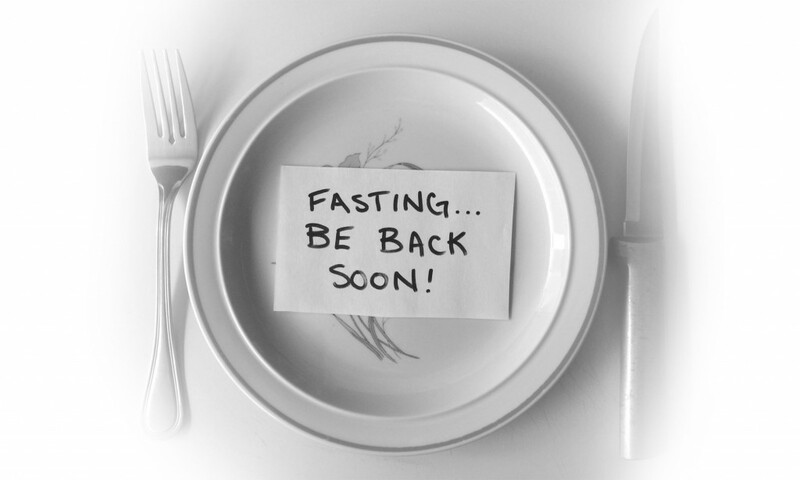 (IF) gives you the flexibility to “sneak in” times of fasting anytime during a day, week or month. (IF) can be as simple as skipping one meal daily. 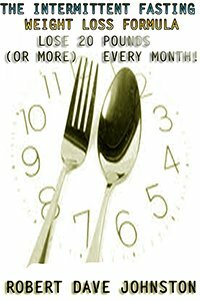 The bottom line is this: With intermittent fasting, time is on your side! If you have a lot of weight to lose and/or have eaten poorly for years, it is easier (at first) to complete a partial fast than it is to do an extended non-interrupted one. Little baby steps eventually add up to a mile. 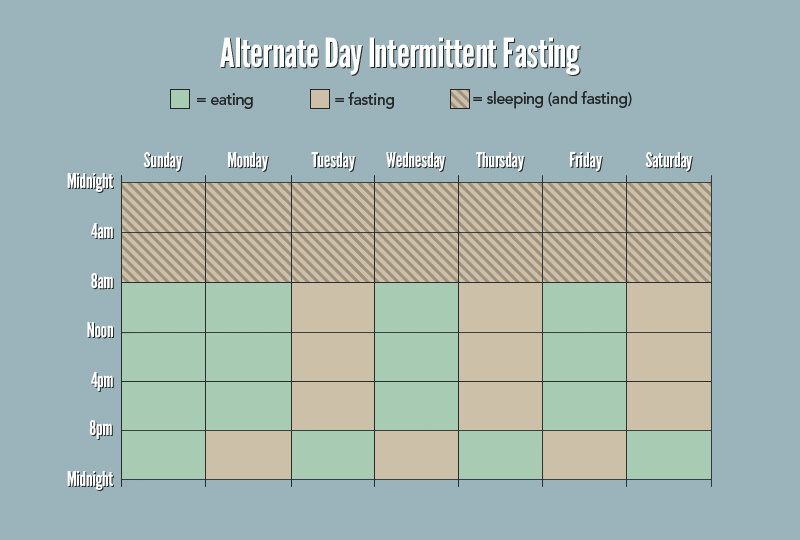 Those are some of the reasons why this “alternating” method of fasting is becoming increasingly popular. I get tons of emails from people inquiring about intermittent fasting. 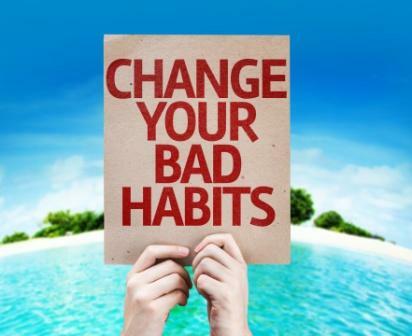 In short, (IF) removes all excuses that people have for NOT taking action and losing excess weight. Whether you have time or not, are busy or not or whatever... (IF) can help you to shed the blubber fast. No matter what your schedule or goals may be, (IF) can be customized to meet your needs and level of experience. Eating less has been found to extend lifespan and increase resistance to age-related diseases in lab rats and monkeys. In recent times, more information has come to light about intermittent fasting, which can also be referred to as calorie restriction (CR). Eating less has been found to extend lifespan and increase resistance to age-related diseases in lab rats and monkeys. Research indicates that calorie restriction via intermittent fasting enhances the cardiovascular system by decreasing risk factors for coronary artery disease. Calorie restriction through (IF) also supports brain functions by decreasing risk factors for stroke such as high blood pressure. The beneficial effects of (CR) are directly linked to the reduction of what is known as oxidative stress. To put it simply, oxidative stress means that the body has become inundated with free radicals and toxins picked up through food, air and water. Oxidative stress fosters a build-up of toxins because the body is unable to process them quickly enough. And regular intermittent fasting can minimize and even vanquish this harmful phenomena. Furthermore, studies on calorie restriction indicate that (IF) has the same effects on the brain and cardiovascular system as those received from physical exercise! To put it simply, this means that the detoxification, weight loss and overall purification attained through intermittent fasting are similar to the ones attained via regular, vigorous exercise. Imagine that! It took me 25 years to come out of my prison of obesity and toxicity. Unfortunately, I didn’t have support or anybody to help and give me directions. If I had, I am certain I wouldn’t have had to endure so many years of misery. Nevertheless, I take comfort in the fact that my bitter experience can now be used to help others. Here’s the bottom line: One year of your life dedicated to intermittent fasting (regardless of the length of each fast) can have a dramatic impact and shake the foundations of your entire existence. I know of people who have gone from overweight and hopeless to vibrant, dynamic and inspirational personalities that make a positive impact in the life of others. They did this through a solid structure of intermittent fasting. Some have changed careers, moved to a different country, become public speakers, spiritual leaders, public servants, world travelers, authors etc… anybody can increase the list. Others have literally been healed of illness, lost hundreds of pounds and avoided premature death. I give you this introductory information so that you can internalize the magnitude of what you are now undertaking. 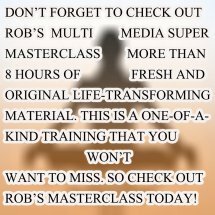 While fast weight loss is one of the most sought-after benefits of this practice, now you can see that (IF) has a world of benefits that will touch every aspect of your life. Whether you want to start to practice intermittent fasting TODAY by simply starting to eat less like, for example, skipping lunch. Many people begin by these types of small reductions in their food intake and continue to to implement eating reductions of 20% and go as high as 50%. By the way, I DO NOT believe in CR for bulimic or extreme ascetic purposes. What I am talking about here is learning to eat less as a means to lose weight and IMPROVE health and life-quality, NOT for starving oneself and becoming sick. It is very important for us to discuss these topics from a strict perspective of health-improvement and life-enrichment.If you are overweight but are not quite ready to do a prolonged juice or water fast, why not start skipping lunch for the next 30 days? Why not stop eating altogether every day after 6pm? Yes, these are both good methods that can get the ball rolling. The basic premise behind calorie restriction is that the less one eats, the longer one lives and - also - the slower one ages. 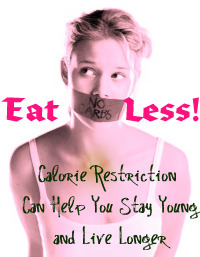 Scientific research seems to suggest that eating less actually "awakens" a certain gene that is said to increase longevity.If this topic interests you, I encourage you to read Ageless Quest: One Scientist's Search for the Genes That Prolong Youth, written by renown biology professor Leonard Guarente. 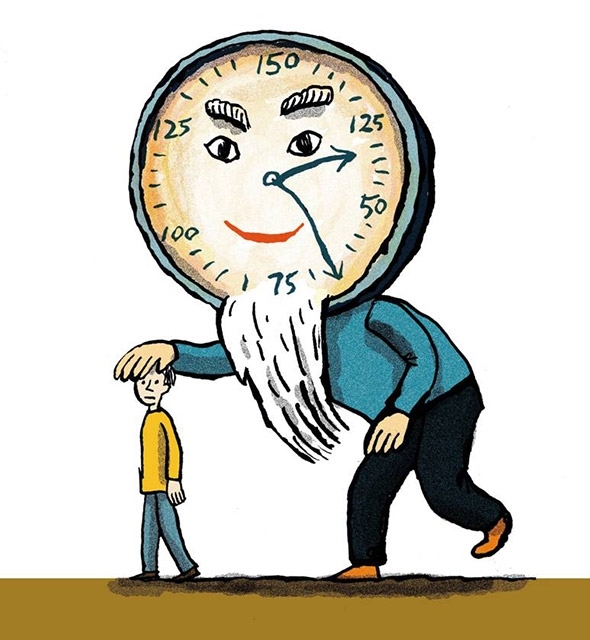 .Guarente - currently at the Massachusetts Institute of Technology - has dedicated large chunks of his career to solving one of the most intriguing mysteries of aging: why eating less makes life last longer. Some research has shown that caloric restriction, as with intermittent fasting, can indeed prolong life. In one study, lab mice that had their food intake cut by 40% lived as much as 16 months longer than their counterparts. There are no human studies verifying that CR will have the same effect on humans, but short-term studies show that CR does reduce bio-markers for aging along with lowering the risk of chronic diseases like heart disease and diabetes. For many, that's evidence enough. 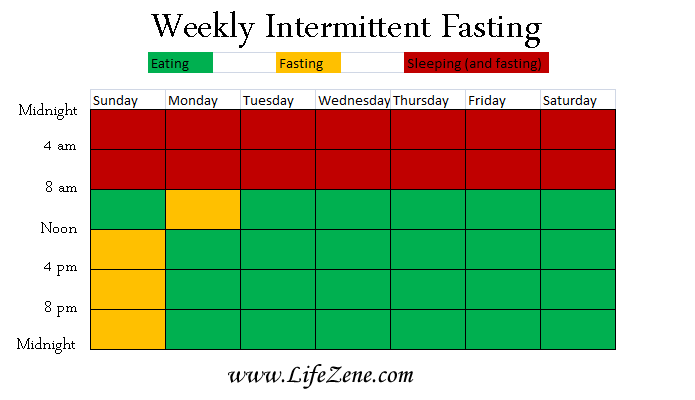 The easiest way to start with intermittent fasting is simply to start skipping one meal daily for, say, seven days. The easy DIF technique is to eat breakfast in the morning and eat nothing else for the following 12 hours. With EOD, for example, you can have breakfast on Monday morning and fast until Tuesday morning. Once you have practiced daily intermittent fasting for a while, you can move on and try EOD. With this system, one fasts for a full 24-hour cycle every other day. So this one takes you a little bit deeper into the fasting path than DIF For example, you can have breakfast on Monday morning and fast until Tuesday morning.Break the fast with a light breakfast made up of oatmeal with low-fat milk or egg whites with whole grain bread and sliced fruit. You can eat all day Tuesday, have breakfast Wednesday morning and then fast until Thursday at the same time... and so on. With the EOD method, you will fast a solid 96 hours in seven days - a terrific step towards weight loss, detoxificaiton and improved health. Every other Day intermittent fasting produces weight loss of two-to-four pounds weekly (or more in some cases) . This method produces weight loss of approximately four-to-seven pounds every seven days. One man I coached lost 15 pounds in seven days with HIF. Here one fasts for 3.5 days (84 hours) weekly and returns to eating for the following 3.5 days. For example, you can have breakfast on Monday at 8am and then fast until Thursday at 8pm. You can break the fast with glass of juice and or a watered-down soup. Go to bed. On Friday morning you can resume eating for the rest of the week. It is strongly suggested that you eat as light as possible when breaking a fast. This method produces weight loss of approximately four-to-seven pounds every seven days. One man I coached lost 15 pounds in seven days with HIF. If you can follow this "two-week-per-month" WIF system for at least six months, you will lose anywhere between 10 to 20 pounds in one month (more in some cases) . This is the ultimate type of intermittent fasting. With WIF, you fast for an entire seven day cycle, resume eating for another seven days, return to fasting for another week ... and so on. 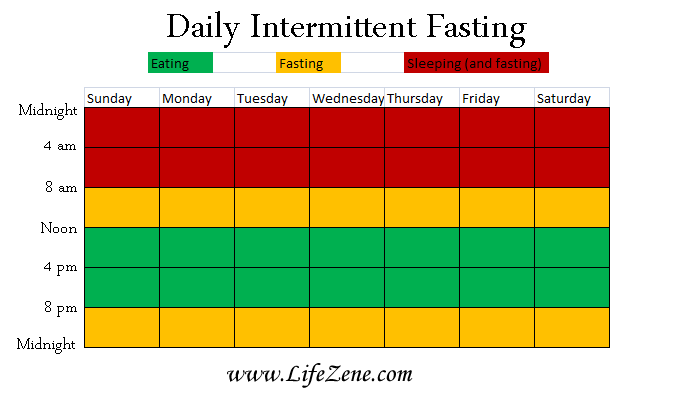 WIF is a very powerful form of intermittent fasting and can help you produce quick weight loss, seven-to-10 pounds in seven days (more in some cases).You can start easy by, for example, fasting one week per month for a couple of months. Eat breakfast on Sunday morning and then fast until the following Sunday at the same time. This fast has to be broken with much caution. Please go to the breaking a fast page for specific instructions and follow them thoroughly. nce you get used to fasting one week per month, increase the challenge and try fasting TWO weeks of every month. In other words, fast for seven days, return to eating for seven days and then fast for another seven days. If you can follow this "two-week-per-month" WIF system for at least six months, you will lose anywhere between 10 to 20 pounds in one month (more in some cases) . Drinking plenty of water while fasting keeps the toxins flowing out of the body through the urine, feces and skin. No matter which method of intermittent fasting you decide to do, it is VERY IMPORTANT that you drink at least half a gallon of water daily. This is a good practice whether one is fasting or not. In fact, adopting the water diet as a permanent part of your lifestyle can definitely help. 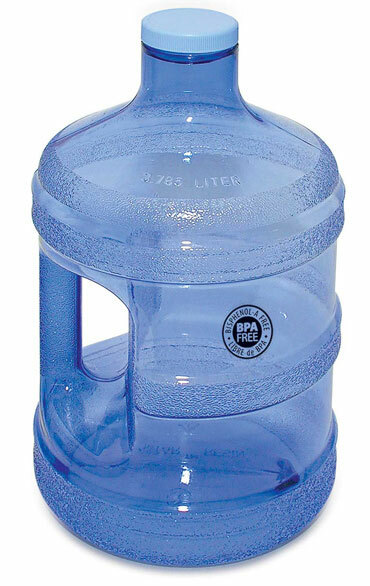 Drinking plenty of water while fasting keeps the toxins flowing out of the body through the urine, feces and skin. As you can see, intermittent fasting gives you plenty of options. And I am sure that you can think of many others that are not listed here. The point is TO DO SOMETHING. If you have been wanting to lose weight for some time but do not want to do a long fast, then even starting out by skipping a meal daily can get you going. I always like to say: EASY DOES IT BUT DO IT!. Something very important I want you to keep in mind is this: Fasting only to return to destructive eating is NOT the way to go. I know that it is hard to overcome our appetites. But it IS possible. Please evaluate your eating patterns with gut-wrenching honesty. Realize that:IF NOTHING CHANGES, NOTHING CHANGES. Publisher: FastingOlogy 9-Month Membership Program.